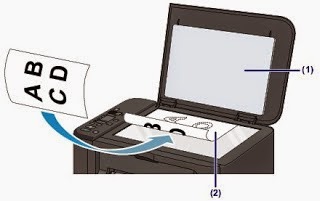 Learn here how scan a document with the printer Canon PIXMA MG2120, fallow all the steps here and setting youself without support. The Canon PIXMA MG2120 can say it works like a scanner of the best, with this printer can produce images with an optical level of 1200 x 2400 dpi, Auto Document Fix features which features automatic detection of characters to digitize and edit scanned documents. It has a resolution of 8.5 "x 11.7" this printer is compatible with Windows® 7, Windows Vista®, Windows XP and Mac OS® X v10.4.11 operating systems to v10.6.x9. 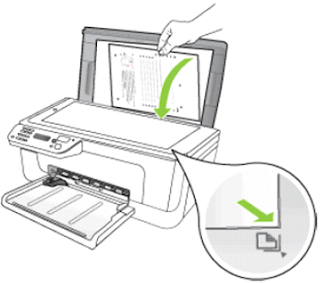 The procedure for scanning with this printer can do it both from the printer panel or from the software we install to administer and control the printer. Below we propose the procedures for performing operations in a manner much like another, it is recommended to follow the process the most same posible to be successful. Send scans to our computer is simple, follow the procedures for obtaining documents with quality and optimum size. Place the original document on the glass of the printer, do it properly both the size and the position will depend on the quality of the document that we received at the end. The first thing to do is open the lid of the scanner, locate the document with the information for glass, remember to take guidance based on the indication of where the printer starts the process. For this process to work perfectly is necessary for the complete software is installed on the computer, if otherwise download the drivers from the page of canon and install driver "MP Drivers and MP Navigator EX". This communication allows the printer to the computer using the buttons or "front panel", verify that the printer is properly connected to the computer, when you press the scan button on your printer's "MP Drivers and MP Navigator EX software "requested information where we want to save the document and some settings that need to add before finishing the scanner. When performing scan from the control panel of the printer or buttons, the document size document type is automatically detected also all down to the main printer setup you normally can change this setting by setting devices printer devices. Make sure the printer is turned on, as we know that this burning need both the printer and the computer, we have to do a check of the two, if the printer has an error this can present a problem. We can also open the preferences dialog, in the program and locate it on our computer desktop. Then we will see how to perform a scanner using the software installed to manage the printer, with this option we can make a escancer the same way using the printer panel "buttons" follow the procedure as we propose to then if you need help please contact us, we will gladly help you. 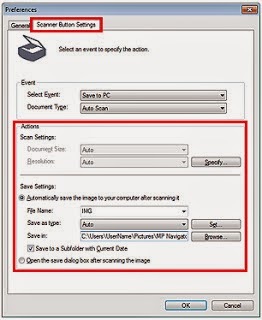 The program you need to scan documents using a scanner printer called "Scanner Button Settings" is a program that allows scanning of documents at high resolution users can use it even without much knowledge of how to scan documents. Unlike the printer panel thus can scan multiple documents at once, you can also scan documents and save even scan documents and be sent directly to an email. You can continue reading the information in our publication how scanning a document.